In the United States anti-aging is a multibillion-dollar industry, and efforts to combat signs of aging have never been stronger, or more lucrative. Although there are many sociological studies of aging and culture, there are few studies that examine the ways cultural texts construct multiple narratives of aging that intersect and sometimes conflict with existing social theories of aging. 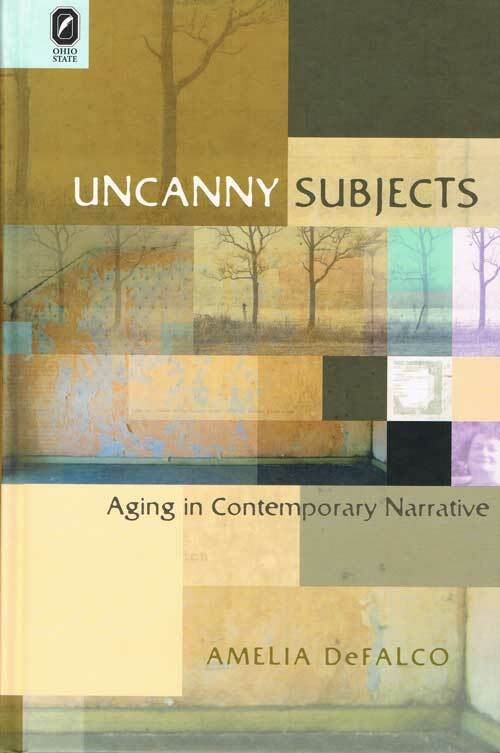 In Uncanny Subjects: Aging in Contemporary Narrative, Amelia DeFalco contributes to the ongoing discourse of aging studies by incorporating methodologies and theories derived from the humanities in her investigation into contemporary representations of aging. The movement of aging is the movement of our lives, and this dynamism aligns aging with narrative: both are a function of time, of change, of one event happening after another. Subjects understand their lives through narrative trajectories—through stories—not necessarily as they are living moment to moment, but in reflection, reflection that becomes, many argue, more and more prevalent as one ages. As a result, narrative fiction provides compelling representations of the strange—indeed uncanny—familiarity of the aging self. In Uncanny Subjects, DeFalco explores a thematic similitude in a range of contemporary fiction and film by authors and directors such as John Banville, John Cassavetes, and Alice Munro. As their texts suggest, proceeding into old age involves a growing awareness of the otherness within, an awareness that reveals identity as multiple, shifting, and contradictory—in short, uncanny. Drawing together theories of the uncanny with research on aging and temporality, DeFalco argues that aging is a category of difference integral to a contemporary understanding of identity and alterity.